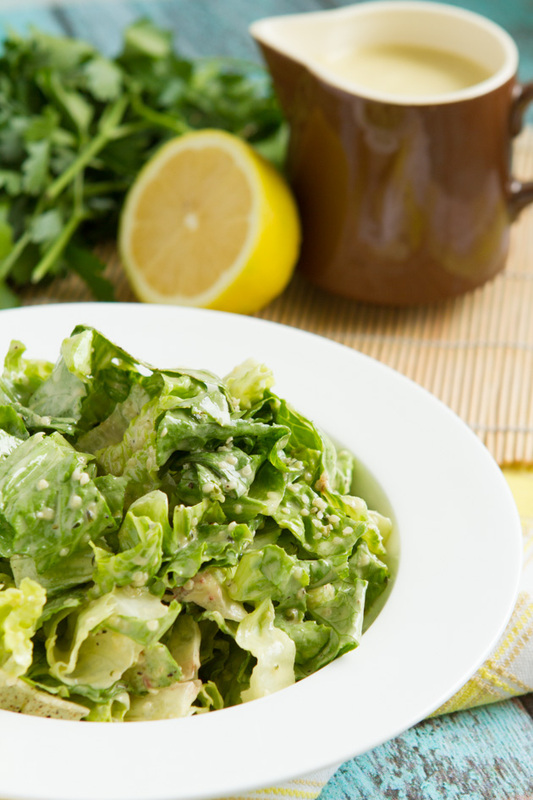 A creamy dairy-free, low-carb caesar salad dressing recipe with MCT (medium-chain-triglyceride) oil. Add all ingredients to the jug of your high-powered blender and blend on high for 1 minute, until smooth. Transfer to an airtight container, a mason jar would be perfect, and store for up to 5 days. 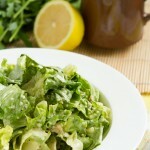 When serving, dust the salad with a touch of nutritional yeast and hemp hearts, it’s delicious! 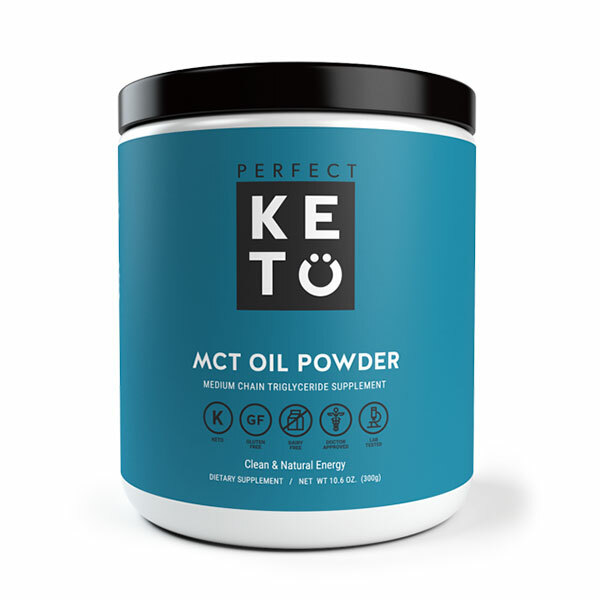 MCT Oil: What is MCT oil? Learn about MCTs here. If you do not wish to use MCT oil, additional olive oil can be used or flaxseed oil would be great, too! Mayonnaise: any type of mayonnaise can be used here (watch out for ones made with yucky vegetable oils). I really like the taste that my Delectable Bacon Mayonnaise adds to this recipe. If you do not wish to use mayonnaise, additional oil and a drop of white wine vinegar will do the trick. Serving: this recipe yields 4 servings at 60 grams per serving.